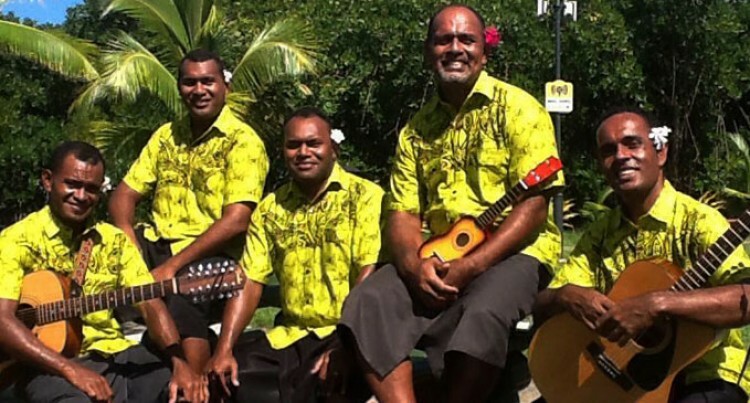 Singer and guitarist Viliame Rabuka (left), with members of the Footprints Quartet. The Nadi-based Footprints Quartet is setting its sights on the general conference session that will take place at the Alamo Dome and Henry B Gonzalez convention centre in San Antonio Texas USA from July 2-11. Singer and guitarist Viliame Rabuka said the group had been picked to represent the South Pacific Division, Trans-Pacific Union Mission and Fiji Mission of the Seventh-day Adventist Church. Mr Rabuka said they were excited to showcase their God-given talents and have planned three fundraising concerts. “We auditioned in 2013 and they told us that we made it through by February of this year. It took that long to assess the many artists and groups performances,” Mr Rabuka said. The general conference will have 70,000 to 100,000 delegates from around the globe participating in the event, which will be telecast live. “We have held three fundraisers in Suva and three more are organised for Nadi, Labasa and Suva in aid of our airfares, accommodation, meals, transportation and musical equipment,” Mr Rabuka said. The concerts will host gospel groups such as Faith Alone, Glowing Hands Suva, Early Rain Suva, Ambassadors, Grace Symphony, Mega life, Aflame Gospel, Redemption Singers, Vanuatu Sevens, Tahitian Boys, Forerunners, Imanueli, Prayzon, The Living Testimony Samoa and the Upper Chambers. The concert in Nadi will be held at Nakurakura AOG Church on May 16 from 7pm to 10pm with tickets being sold at $5 for adults and $3 for children, while the Labasa concert will be held at the Diamond Theatre on May 23 from 7pm-10pm with the same ticket price. The Suva concert is yet to be confirmed. For more information please contact group manager Peni Bolatui on 7999992.